Planning the perfect wedding could be fun and exciting, but it could also be overwhelming and you could get lost among all the ideas and possibilities. To avoid that, make a list, plan to the detail, and have some help from your family or professionals. You and your husband-to-be should sit down together and work out how much money you can spend. If you parents want to participate involve them in this planning, too. Work out the approximate costs for everything you think you need, but remember not to get carried away and spend more money than you planned. Be realistic and if you are on a tight budget make sure to only have the essentials, like dress, cake, venue, catering etc. Get your girls together and start the hunt for the perfect dress. The things you need to consider while shopping for dress are your body type, the type and color of the dress and, of course, your budget. The wedding dress should complement your body type and emphasize the good things so you would feel comfortable and confident. As far as type of the dress is concerned, you can choose from the varieties of designs, from classic dresses to more glamorous and dashing ones. Try as many different dresses as you can and find your perfect one. Color of the dress can be traditionally white, or beige and champagne, but if you want something different you can try on some blue or even black wedding dresses. However, no matter how much you love a certain dress, do not overlook its price and stick to the plan. To make this beautiful day a perfect memory you will need the best photographers and videographers. Visit the best studios for wedding photography, look at their portfolios and see what they offer - a good example would be the amazing wedding photograohers from Perfect Moment. You will need someone to match your plans and desires, someone who knows how to capture the most emotional and joyous moments, but to fit into you budget. Also, think about what kind of albums you want, make a deal with a videographer about what kind of wedding videos to make, and think of some creative ways of posing for the pictures. After finding what you desired, make sure to book the photographers at least a few months ahead. After all the rushing and planning, you will need some rest – and the best place to do that is your own honeymoon. When planning your romantic getaway, consider your and your husband’s desires. 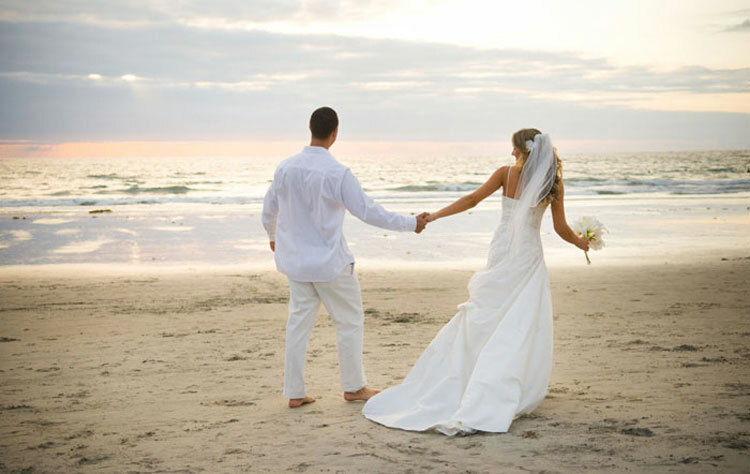 Find a romantic island where you can enjoy on the sandy beaches and enjoy the sun together. If you like the adventure more, visit jungles and canyons and enjoy some activities to get your adrenaline high. Also, you can visit some cities and countries you always wanted to see, go on tours around and go on romantic sightseeing. Whatever you choose, you will sure get some rest and enjoy the beginning of a completely different life. These are the essentials that no wedding can go without. Plan these to the smallest details, stick to the budget and live happily ever after.